“I, RACHEL WALL, was born in the town of Carlisle, in the state of Pennsylvania, in the year 1760 . . . .” Thus begins Life, Last Words, and Dying Confession of Rachel Wall, published shortly after her execution on Thursday, 8 October 1789. A frontier town, Carlisle had only been founded nine years earlier as the seat of Cumberland County. 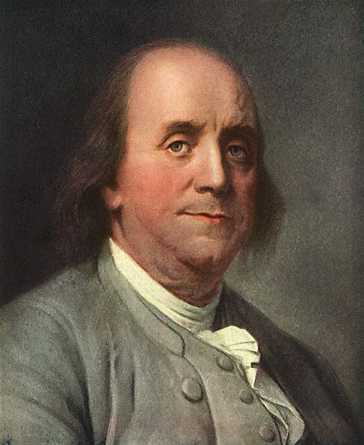 Benjamin Franklin traveled to Carlisle to meet with representatives from surrounding Native American tribes because of growing tensions between the British and French and their allies in 1753. That week-long assembly produced the Carlisle Treaty, but within a year hostilities between the two nations erupted even though a formal declaration of war wasn’t forthcoming until 1756. Just four years after Rachel’s birth, Regina Hartmann was reunited with her family in Carlisle. She had spent nine years as a captive of Native Americans who attacked Penns Creek, located seventy miles north of Carlisle. At this point the historical record becomes murky. Rachel apparently fell into a life of crime, but the confessional broadside didn’t provide specific details. She merely summed up her criminal spree in two short paragraphs. 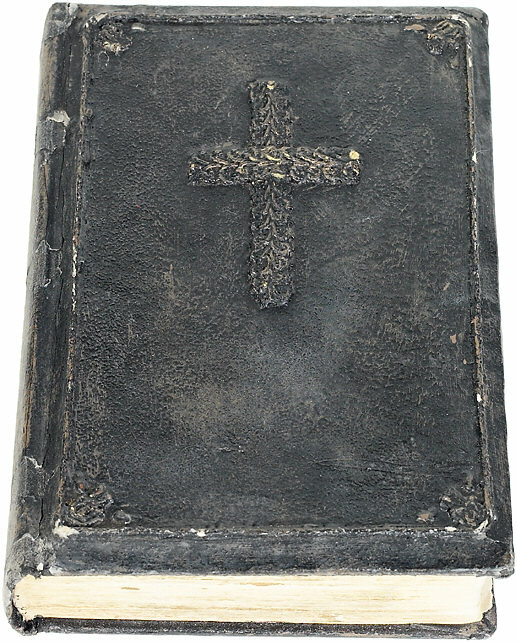 I acknowledge myself to have been guilty of a great many crimes, such as Sabbath-breaking, stealing, lying, disobedience to parents, and almost every other sin a person could commit, except murder . . . .
She merely hoped this admission of guilt and her repentance from having sinned would lead to God’s forgiveness. Modern accounts claim that Rachel confessed to it before her hanging, but she never mentions piracy as one of her crimes, contemporary newspapers make no mention of such a confession. Knowledge of when and where stories of piracy first surfaced has been lost. Edward Rowe Snow, an author, lecturer, and historian of New England history, wrote about her in his book Piracy, Mutiny & Murder. He claims Mary Read’s speech, which appeared in Captain Johnson’s A General History of the Pyrates, influenced Rachel. Snow fails to identify the source of this knowledge. Nor does he explain how the passage influenced Wall. If she numbered piracy among her many crimes, what was her modus operandi? When George returned to Boston, he needed money. Some accounts say he had been a privateer during the Revolution, and as often happened, he and his mates grew accustomed to acquiring rich sums of money with little effort expended in earning it. A privateer, however, required a letter of marque to sail, but with the end of the war, neither the British nor the Americans were granting such licenses to plunder legally. If they wished to continue such ventures, they would have to turn to piracy. Undeterred by the threat of hanging if caught, George or someone in the crew of five knew a fisherman with a schooner. Having injured himself, this man could no longer practice his trade. George proposed that if he lent them his boat, he would receive a share of the monies earned once George and his mates sold their catch. Since the man assumed they were also fishermen, he agreed to the proposal. Before long, George put his plan into action. Whenever stormy weather threatened, they set aside their nets and took shelter. 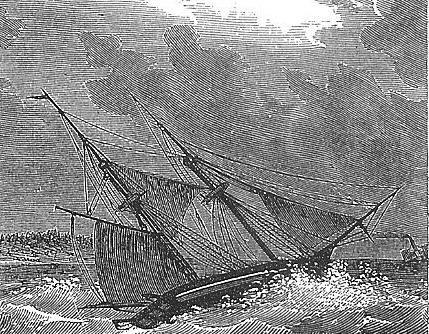 Once the gale passed, the schooner drifted into waters where other ships were likely to see them. Then they set about making the ship appear as if the storm had inflicted serious damage. When the lookout spotted a potential victim, Rachel, clad in frayed clothing, yelled for help. On seeing the derelict vessel, the unsuspecting master of the merchant ship came to the aid of the damsel in distress. 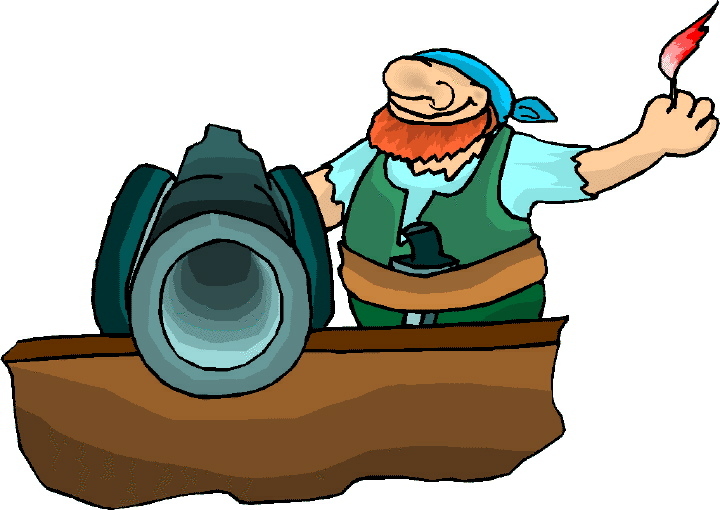 If the would-be rescue vessel had a small crew that the pirates could easily subdue, they waited until the two ships were tied together, then they boarded the merchant ship and killed her captain and crew. If the rescuers outnumbered George and his mates, Wall refused the offer of passage aboard the merchant vessel and invited her master and first mate to come aboard, supposedly to offer what assistance they could to make repairs. 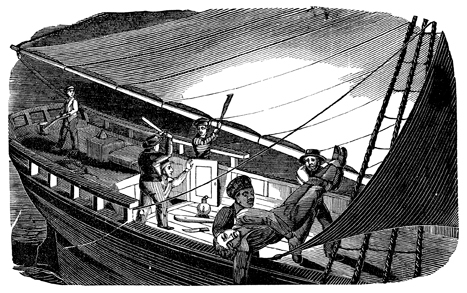 Once the men went below to survey the schooner’s damage, they were murdered. Then George and the men either slipped aboard the rescue ship and slaughtered the remaining crewmembers, or invented a plausible excuse for more sailors from the merchant crew to come aboard the schooner. In turn, these men also met their doom. Once all the merchant crew was dead, George and his friends weighted down the bodies then heaved them over the side. After they plundered the merchantman of any cargo and personal items of value, they scuttled her so that both crew and vessel were never seen again. George deduced, and rightly so, that people ashore would assume the ship went down during the storm. But as with the boy who cried wolf, George and Rachel plied their scheme once too often. After a storm passed, they sailed out to the shipping lanes as usual. Unbeknownst to them, this wasn’t an ordinary gale. They were in the eye of a hurricane, and soon after they reached their destination, the fury of the storm washed waves over the schooner, which rolled from side to side in the heavy seas. 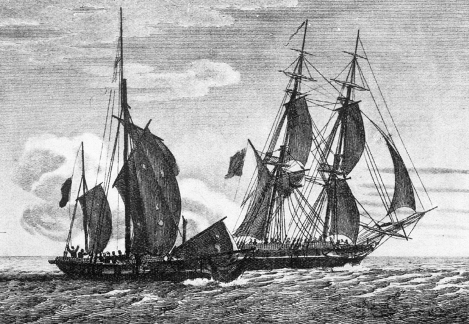 The mainmast snapped, toppling the spar and two men into the sea. Both men, one of whom was George, drowned. This time, when Rachel yelled to a brig for help, she and the three other survivors really were in distress. While historical records in Boston provide no mention of piracy, they do provide details about Rachel’s penchant for stealing. She admits to having stolen items from several ships docked at the city wharves. Somewhere in her past, she acquired the knowledge that a favorite hiding place of ship masters was the head (latrine). In one of my nocturnal excursions . 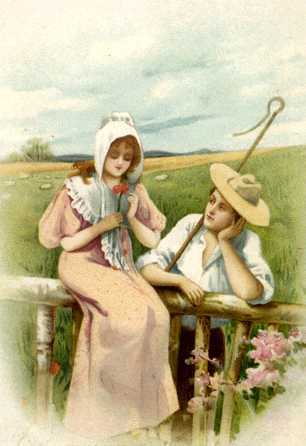 . . sometime in the spring of 1787 . . . I happened to go on board a ship, lying at the Long-Wharf, in Boston . . . . On my entering the cabin, the door of which not being fastened, and finding the Captain and Mate asleep in their beds, I hunted about for plunder, and discovered under the Captain’s head, a black silk handkerchief containing upwards of thirty pounds, in gold, crowns, and small change, on which I immediately seized the booty and decamped therewith as quick as possible, which money I spent freely in company as lewd and wicked as myself . . . .
Might she have acquired such knowledge as pirate? Certainly, but she could easily have discovered such caches while conducting a private liaison with seamen who craved a woman’s companionship. These examples were simply two episodes from her criminal exploits. She also confessed to trying to break George, who was charged with robbery, out of jail in 1785. George extracted the tools and used them to gain his release, but the jailor wasn’t quite as dumb as he seemed and thwarted the escape attempt. The early leaders of Massachusetts first tackled theft in 1642. This law left the nature of the punishment up to the judges who heard the cases. By 1647 this oversight was corrected. It is therefore Ordered by this Court and Authority thereof, that if any person shall Burglary : by breaking up any dwelling house or shall rob any person in the field or highwayes, such person so offending, shall for the first offence, be branded on the forehead with the letter (B) And if he shall offend in the same Kinde the second time, he shall be branded as before & also be severely whipped ; and if he shall fall into the like offence the third time, he shall be put to death, as being incorrigible. In 1691 a new charter was granted to Massachusetts, making it a royal colony. As a result, the statutes changed on 30 May 1711. Be it enacted . . . In 1784, after Massachusetts became part of the United States of America, the law differentiated between “assault with intent” and an actual theft. The latter remained a felony punishable by death, but the former entailed a variety of sentences from which the judges could select. Alan Rogers, in his article on capital punishment in Boston, mentioned two other incidents of thievery that Rachel perpetrated. In the summer of 1785, she robbed Pereze Morton, Esquire. When she was arrested and brought before the court, she pled guilty. Unable to pay the court costs and fine of £18, three times the value of the stolen property, she had to work for three years to make restitution. Her sentence also included “fifteen lashes laid on her bare back.” (Boston’s, 24). When her indenture ended, she committed another robbery and was later caught. She again admitted her guilt, confessing she stole property from Lemuel Ludden. In addition to being whipped, she had “to sit on the gallows for one hour with a noose around her neck . . . .” (Boston’s, 24) As before, someone paid her fine and, in exchange, received three years of toil from her. A clipping from the 22 September 1788 issue of the Herald of Freedom, listed her as one of those publicly punished. On 2 April 1789, Boston’s Independent Chronicle and the Universal Advertiser printed the following item on the attack, which had taken place on 27 March. Colonel Thomas Dawes and Charles Berry heard the commotion and came to Margaret’s rescue. Dawes stayed to help the young lady, while Berry raced after the robber. Nabbing Wall, he brought her before the victim, who said, “She appeared to be the same person.” (Rogers, 24) That declaration secured Wall’s arrest. Rachel stood trial on 25 August, accused of highway robbery for assaulting Margaret Bender and stealing a bonnet worth seven shillings.5 Chief Justice William Cushing presided over the case with the assistance of four other justices: Nathaniel P. Sargeant, David Sewall, Francis Dana, and Increase Sumner. Unlike her previous appearances before the bench, Rachel pled not guilty. The court appointed Christopher Gore and James Hughes as her defense counsel. The jury consisted of Benjamin Clark (foreman), Bossenger Foster, Ezra Penniman, Rufus Mann, Robert Peirce, Caleb Beals, Joseph Draper, Ezekiel Richardson, Daniel Bell, Ebenezer Tucker, Jr., Silas Weld, and Thomas King. The newspapers of the day include only small snippets related to her execution. On 10 October 1789, the Massachusetts Sentinel reported, “On Thursday were executed William Denoffe, William Smith, and Rachel Wall, pursuant to their sentence for highway robbery.” (Vaver)7 Not one of papers mentions anything about piracy. Had she professed to be a pirate, they most certainly would have carried lurid details of the villainy, especially since she was a woman. The absence of such accounts lends credence to the fact that she was a common thief. Another reason for skepticism stems from her confession. Sometime after George first returned to her, “[h]e went off again and left me, and where he is now I know not.” (Williams, 284) If her husband had been swept overboard during the hurricane as the stories recount, she would have known he was dead. If she was guilty of piracy, but didn’t want to indict either herself or her husband, this statement makes sense. Why then would she confess to piracy on the gallows? Rachel Wall was the last woman hanged in America’s oldest park, Boston Common. 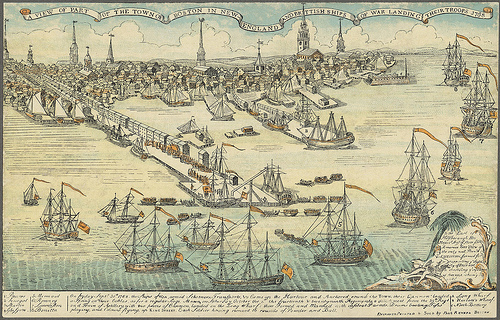 That she died there, rather than on Bird or Nix’s Mate Island (located in Boston Harbor), also indicates that she was a common thief.8 Piracy fell under the jurisdiction of the admiralty courts – which might have included ships docked at the wharves – and convicted pirates were rowed out to one of these little islands to be hanged. 1. I came across a web page that lists her burial site as Oak Lawn Cemetery in Roslindale, Massachusetts. This page also gives her birth date as 1 October 1760, but there is no picture of the grave and no source to substantiate the claim. 2. “Congregational Persuasion” was the predominant Protestant faith in Massachusetts, which the Pilgrims brought with them to the New World. There are historical links with the Presbyterian Church in the United States, but if Rachel was born in Carlisle as her confession states, she was more likely to be Presbyterian or German Reformed, one of original four churches that eventually became the United Church of Christ. 3. This quote comes from the edition of Johnson’s book ascribed to Daniel Defoe and edited by Manuel Schonhorn. 4. Yolen does not cite the source for these amounts, although it might come from one of the books listed in her book’s bibliography. 5. At the time of the robbery, Bender was seventeen years old. The Proceedings of the Massachusetts Historical Society for March 1905 indicate she died when she was seventy-two years old and that she was well respected during her life. 7. In Pillars of Salt, Williams cites two sources – The Boston Gazette (14 September 1789) and The Massachusetts Centinel (12 September 1789) – in which Denoffe’s name is spelled Dennossee or Denosse. The broadsheet of her confession lists him in a subtitle beneath Rachel’s name as William Dunogan. 8. Bird Island disappeared under Logan Airport in 1946. Nix’s Mate Island (also known as Nixes Island) is part of the National Park Service’s Boston Harbor Islands recreational area. For additional information, I recommend . . .
Druett, Joan. She Captains: Heroines and Hellions of the Sea. Touchstone, 2001. “History Timeline of Cumberland County” at Cumberland County, Pennsylvania [accessed 22 March 2012]. Historic Carlisle, Inc. Walking Tour of Carlisle’s Wayside Markers. Historic Carlisle, 2007. History of the First Presbyterian Church on the Square [brochure accessed 28 March 2012 -- no longer available 8/1/2015]. Johnson, Catherine. Pyrates in Petticoats. Graphics/Fine Arts Press, 2000. Johnson, Kate. “Rachel Wall – One of America’s Last Seafaring Female Pirates,” No Quarter Given (Nov./Dec. 2006), 6. “Hanged for Stealing a Hat”, from a talk presented by Dr. DeNormandie and Mr. Noble and published in Proceedings of the Massachusetts Historical Society (March 1905), pages 178-190. Ossian, Rob. "Rachel Wall," Rob Ossian's Pirate's Cove [accessed 13 March 2012]. 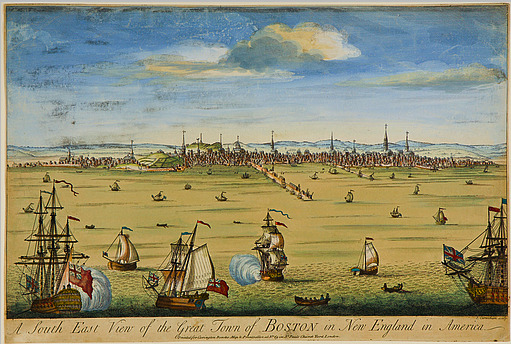 “Rachel Wall,” Pirates of the New England Coast [accessed 13 March 2012]. Rogers, Alan. “‘A Long Train of Hideous Consequences’ Boston, Capital Punishment, and Transformation of Republicanism, 1780-1805” (pages 13-36) in Boston’s Histories: Essays in Honor of Thomas H. O’Connor edited by James O’Toole and David Quigley. Northeastern University, 2004. Vaver, Anthony. “Early American Criminals: Rachel Wall’s Fall from Grace,” Early American Crime [accessed 13 March 2012]. Weatherly, Mura. “Rachel Wall: Boston Pirate” in Women Pirates. Morgan Reynolds, 1998. Williams, Daniel E. Pillars of Salt: An Anthology of Early American Criminal Narratives. Madison House, 1993. Wing, Rev. Conway P. A History of the First Presbyterian Church of Carlisle, Pa., Valley Sentinel Office, 1877. Yolen, Jane. She Queens: Women Pirates Around the World. Charlesbridge, 2008.